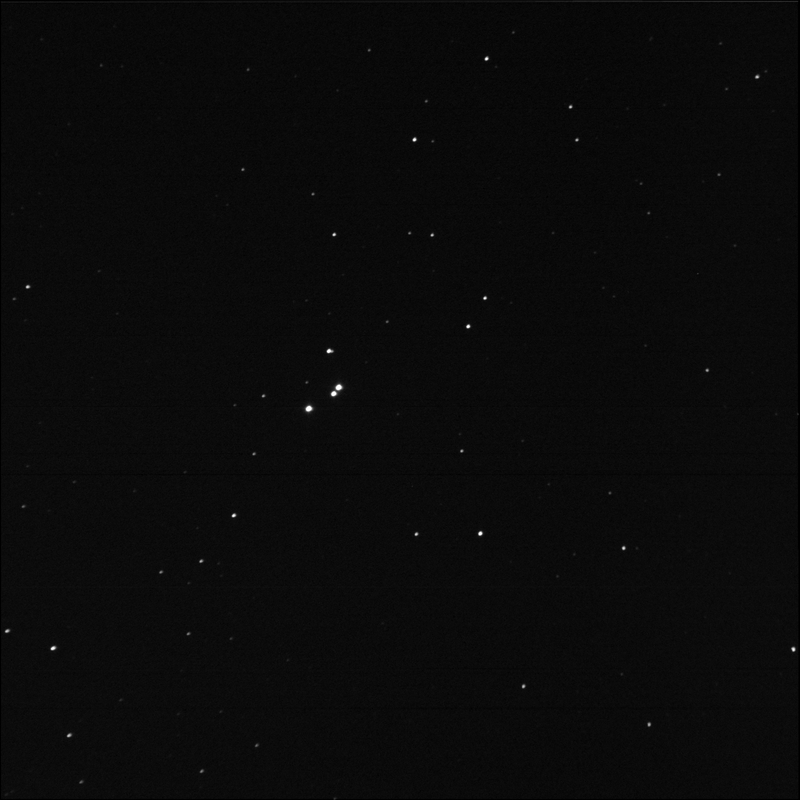 BGO imaged HD 151367. aka Σ2098. 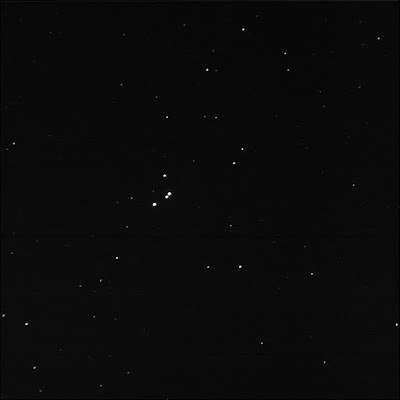 A multi-star system in Hercules. When I first observed this target in August 2014, I had not successfully split the D and S elements. No problem in this image (but you'll have to zoom in). Luminance only, 3 seconds subexposures, 10 stacked shots. FITS Liberator, Paint.NET. North is up; east is left. A, the primary, is the brighter star of the tight pair, to the north. B is the slightly dimmer star to the south-east. C is further in the same direction, south-east, 5 or 6 times the distance. It looks to be the same brightness as A. D is north of A, slightly to the east, dimmer than B. The elusive S companion is visible to the west of D. Much fainter. Very tight, practically touching D.